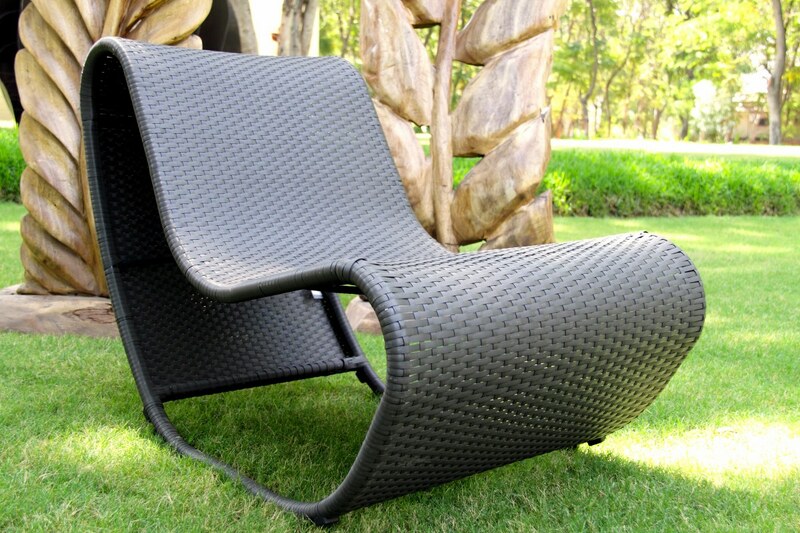 This is a rocking chair made out of artificial rattan and works very well on indoor or outdoor spaces. It evokes visual interest owing to its modern shape and prides itself for the age old rocking comfort that most people yearn for. Since it’s made of artificial rattan, its easy to maintain and flexible to place. It is an interesting piece of furniture with great utility and can be harmonized best with a modern decor.